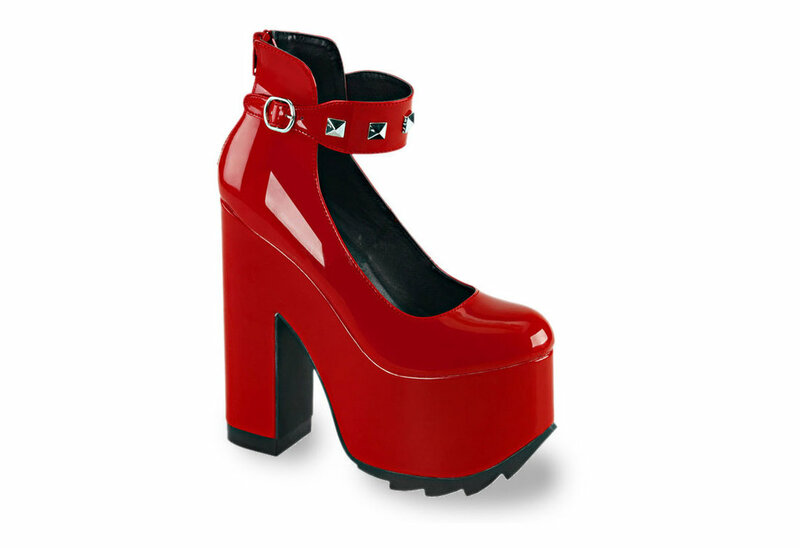 The Cramps-03 red patent look shoes have a 6 1/4 inch block heel with a 3 inch ridged ankle strap platform. They are adorned with pyramid studs and buckle details. They also have a back zipper closure for easy on and off.